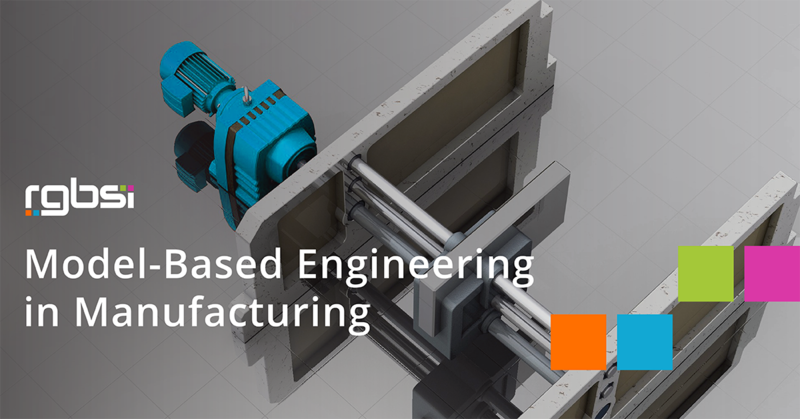 Model-based engineering (MBE) has generated tremendous buzz recently within the manufacturing industry. 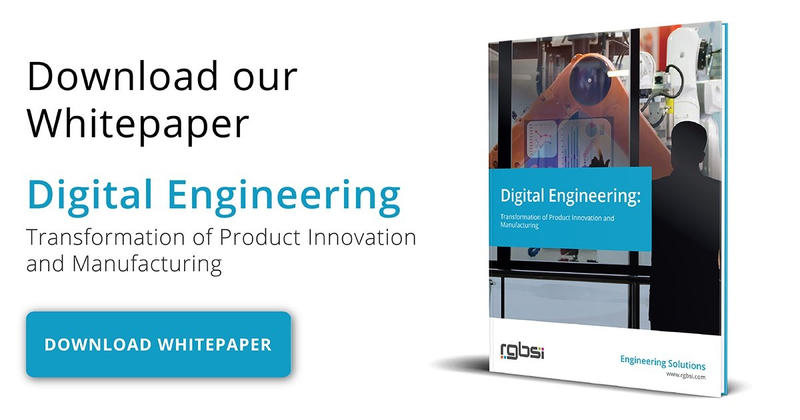 In a manufacturing context, this concept involves the development of products using a type of digital “master model” from which other peripheral activities can be deduced to generate the product.So how do we define a model and model-based engineering? A model is a representation of a structure, an object, operation, or an idea of a real thing. Model-based engineering (MBE) is a method of actualizing a set of colligated models that enable the definition, design, and documentation of a system which is under development. Let’s take a deeper look at model-based engineering applications in manufacturing. Until the other day, traditional methods of conveying engineering data and driving manufacturing processes such as hardcopy and digital documents were over-relied to perform most engineering and manufacturing practices. Fortunately, with the arrival of the modern manufacturing data handling and powerful engineering programs, it has become easier to perform most of the manufacturing activities by means of data models. Model-based engineering is the new form of handling manufacturing data which uses these models instead of traditional documents for all manufacturing practices throughout the life of a product. More recently, the world of manufacturing has been focusing on covering the aspects colligated to model implementation using computer simulation experiment, to eliminate the void between model specification and the simulation program (software). Basically, MBE is an application of modeling practices, design, analysis, validation, as well as verification methods. It serves as a total best value solution to exploring and documenting the characteristics of a system. Despite the fact that models cannot be an ideal representation of a physical system, they generate the required knowledge as well as immediate feedback. Model-based engineering uses visuals to express the information of a design, particulate a process, or simulate the real behavior of an object. Engineers and manufacturing practitioners use models to communicate definitions and forms of a product. In model-based engineering, models are used in various domains such as systems, software, electronics, logistics, as well as human behavior. There are two types of models: descriptive models and computational models. Descriptive models: types of models meant for human consumption and are interpreted by a human. Computational models: types of models that are machine-readable and are interpreted by a computer. Models are important in coming up with an effective practice of exploring, updating, and communicating aspects of the systems to the stakeholders, while substantially cutting down on additions to traditional practices. Some examples of MBE were presented in a recent workshop that was conducted in Scottsdale, Arizona during the Congress of the Future of Engineering Software (COFES). Also, it should be noted that this concept adopts a fundamental assumption that it is paramount to model and then simulate logically the whole system in order to interpret its behavior. In a manufacturing context, model data is applied to drive both production and quality processes. These models contain the data for nominal geometry as well as the additional data required for production. Additional data is referred to as production manufacturing information (PMI) and it comprises of geometric dimensions and tolerances, the material and process specs, list of the components, and inspection prerequisites. Due to the growing complexity and range of modeled systems, engineers are faced with the challenge of manual interpretation and representation of various system engineering artifacts. Moreover, sophisticated systems interact with a variety of factors, resulting in “hard-to-predict” emergent issues. These are hardly identified by system engineers who handle the models. For this reason, artificial intelligence and machine learning are used to provide a data-centric method of developing and validating the model, where past experiences are applied to correct future designs. Unfortunately, where human engineers face intuition deficiency, those computational decisions stand to be opaque. Models have a significant impact on robust learning through a chain of development steps to realize decisional feedback as soon as it happens. In fact, it’s a lean tool that enables manufacturers to learn systems that are under development with fast before the cost of change shoots. They are used to explore the integrity of the system’s elements, evaluate whether there are alternatives to the design, and verify the validity of the assumptions in the life cycle of the system. This’s is especially practicable in large and sophisticated systems such as satellites, aerospace, medicine among others. In these systems, a solution has to be validated before execution. For instance, launching an aircraft into space or applying a medical system to the first patient. MBE is designed such that a model can record and convey decisions to another interface. Now, this information is used as a compliance documentation, impact analysis, among other uses. Models have standards that guide engineering teams in controlling manufacturing quality and maneuvering smoothly through the design process. These model standards include specific information to handle modeling notations, links within a model, modeling tool properties, location to place modeling information, and system dimensions. Standards are useful as they specify the agreed upon modeling constructs and annotation semantics that enable engineers to understand models developed by different personnel. These standards are industry-driven and are adopted at a national and international level to positively affect interoperability across various engineering software. Most importantly, standards used for representing and determining the fidelity of product manufacturing Information are paramount as this information is a core in a manufacturing process. For model-based engineering, open standards are more useful than industry standards because the underlying technology in open standards is open and democratically managed. For this reason, companies that use open standards in their models find it easy to “understand” their model. Model-based engineering (MBE) in manufacturing has an edge over conventional methods because of two major reasons: first, it is computer interpretable, and secondly, it is data associable. Data models are applied in engineering and manufacturing because they can be directly processed with engineering software. This is computer interpretability property of MBE. For model integrity, data associativity is necessary. This means that material specs, surface finish, tolerances, and other properties are associated with particular properties in a model. Arguably, adoption of model-based engineering is driving manufacturing towards its peak performance. At RGBSI, we deliver total workforce management, engineering, quality lifecycle management, and IT solutions that provide strategic partnership for organizations of all sizes. We leverage our expertise to fill workforce gaps and deliver full range business solutions that optimize client operations worldwide. What is CAD customization and design automation? What is Vehicle to Infrastructure (V2I) Technology?